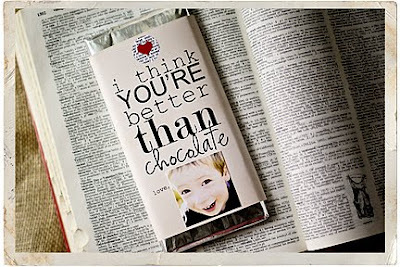 -cut out chocolate bar wrap, wrap around chocolate and adhere. -crop photo into a 1.75x1.75 square and adhere on top of wrap. -and you're finished! super easy and cute right? !